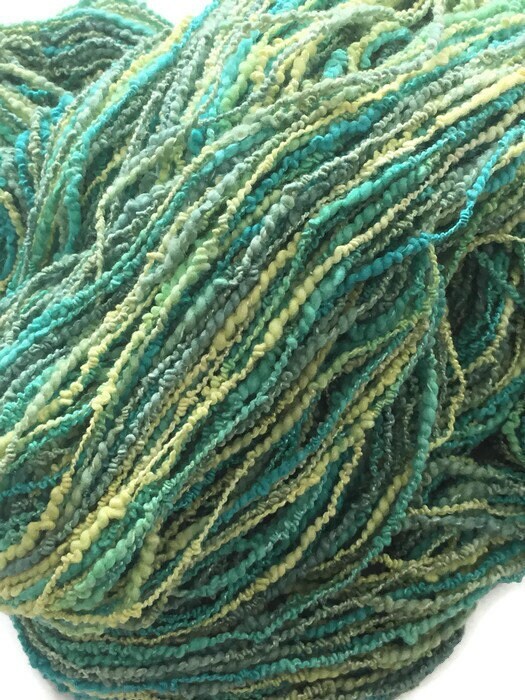 This is a 3-ply boucle, popcorn, DK weight yarn. 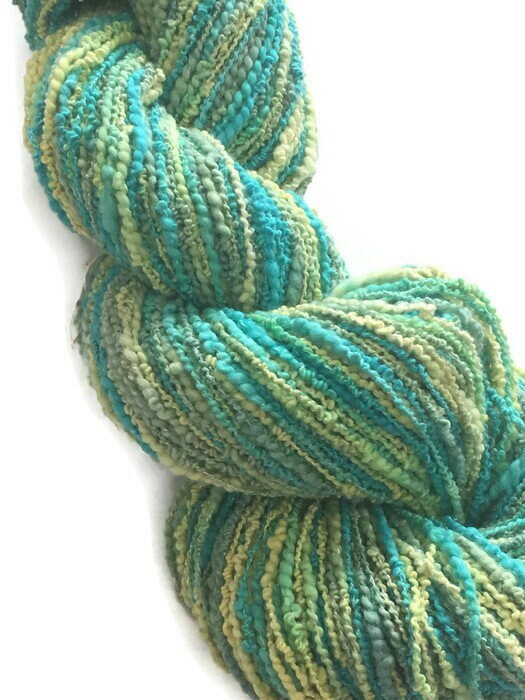 There is some thick and thin with this yarn. 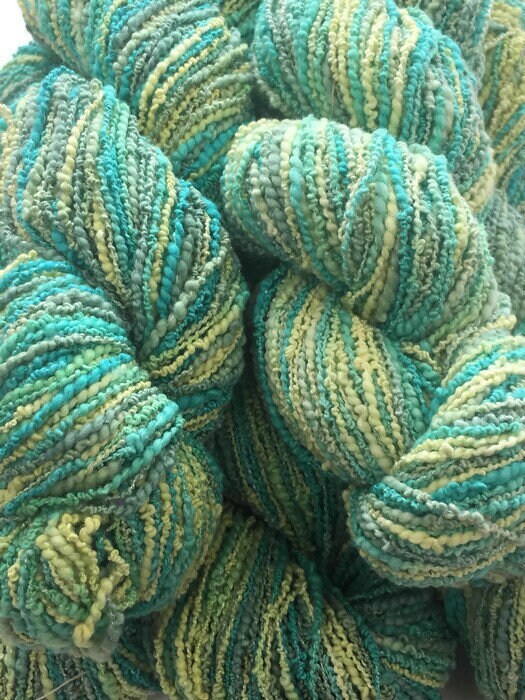 The colors are light green, bright green, sage green, turquoise, and yellow. 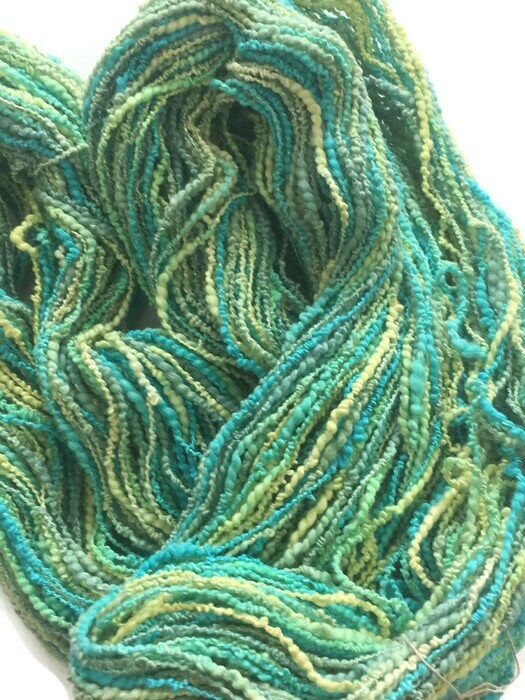 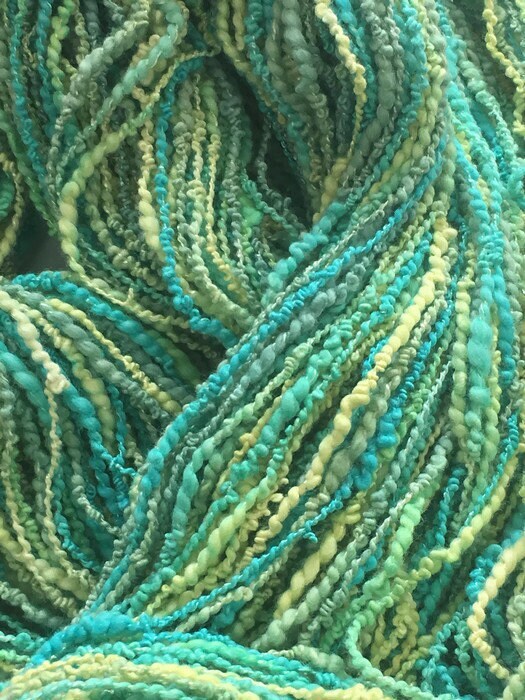 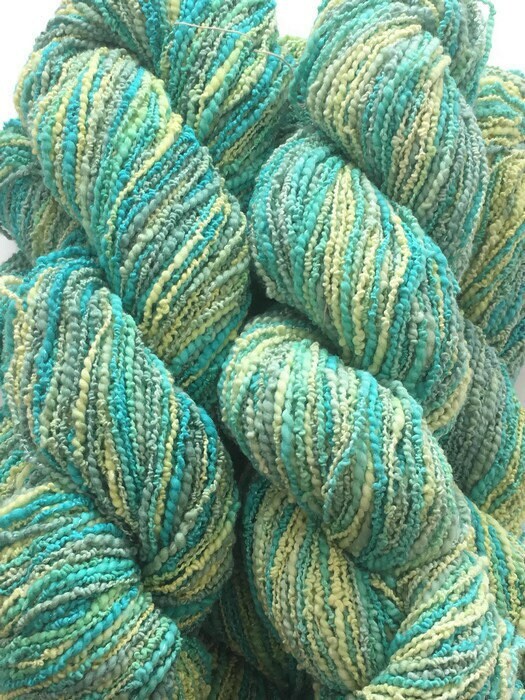 The are bits of shimmer in this yarn. 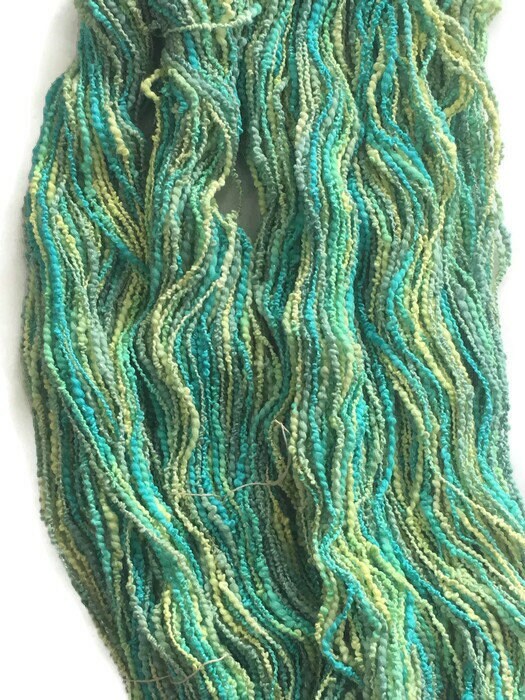 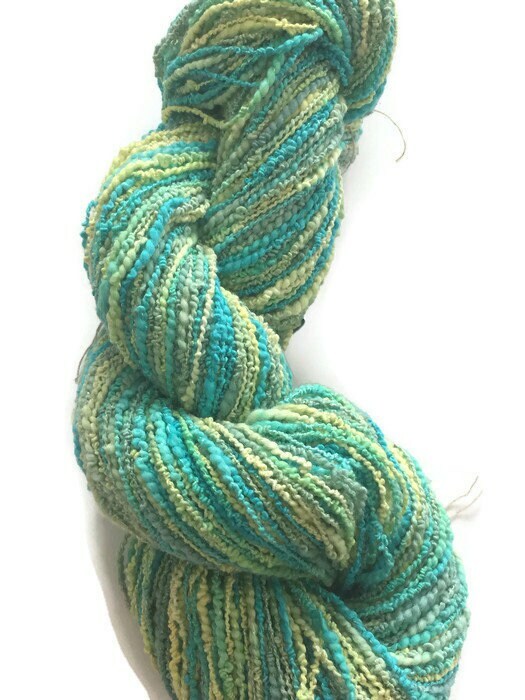 Each skein is 200 yards and weighs approximately 3.7 ounces. 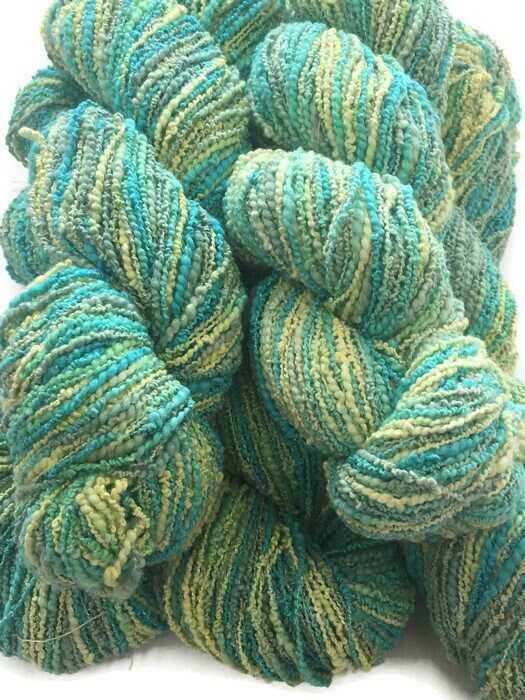 I also have some 20 yard mini-skeins of this yarn. 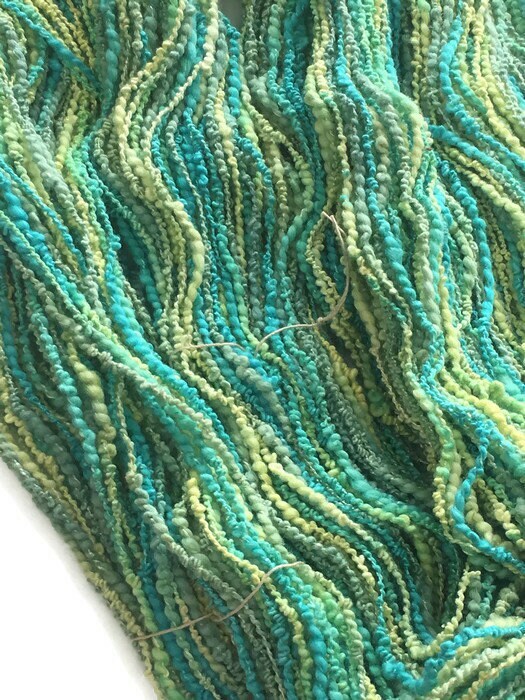 This yarn wraps at 12 wraps per inch.